1. 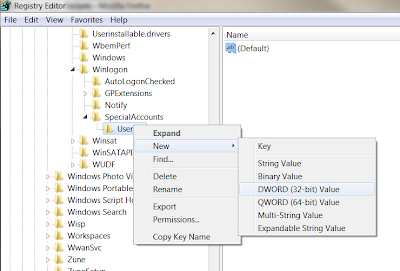 Run The Registry Editor in Windows XP/Vista/Win7 by going to Start Menu > Run or by hitting the Start Menu Key + R key> type: regedit and hit enter. 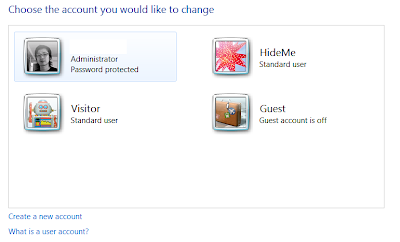 You will need to run this from an account that has Administrative rights. 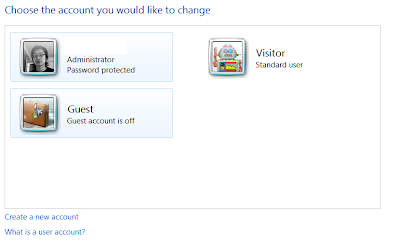 Voila, your account should no longer show up on the Welcome / Login screen or in the Control Panel > User Accounts area. 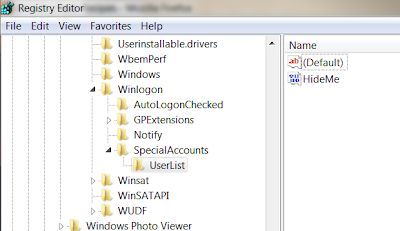 —To unhide the account, just go back to the same registry entry/location and delete the key with the name of the account.